Ah, Venezia! What an amazing city! 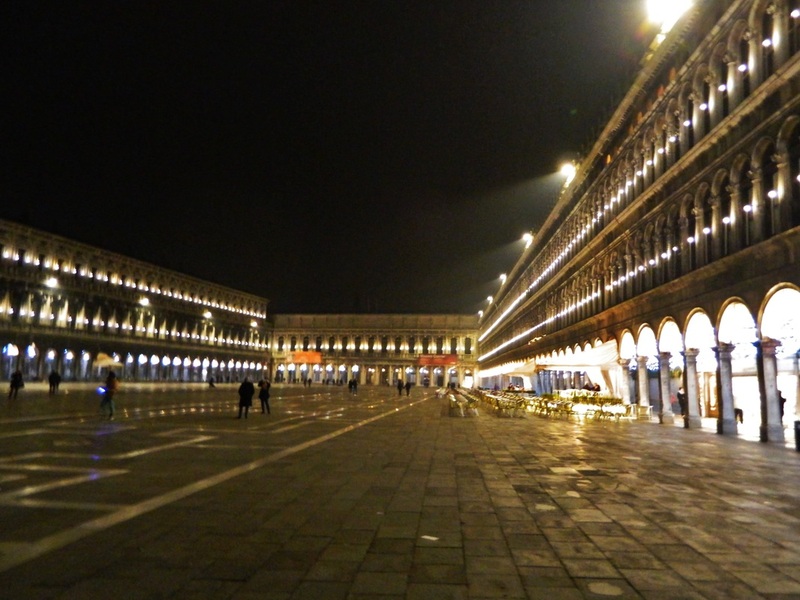 The first thing visitors need to know before going to Venice is that there are NO cars allowed in this city. You can drive TO Venice, but you cannot drive IN Venice. The benefit of there being no cars in the city is a quiet peacefulness that you just don't expect. I never realized how much of an underlying din traffic creates until there wasn't any--instead, I was surprised by the beautiful sounds of doves cooing, friends chatting, and the waves lapping at the city's edge. So lovely! 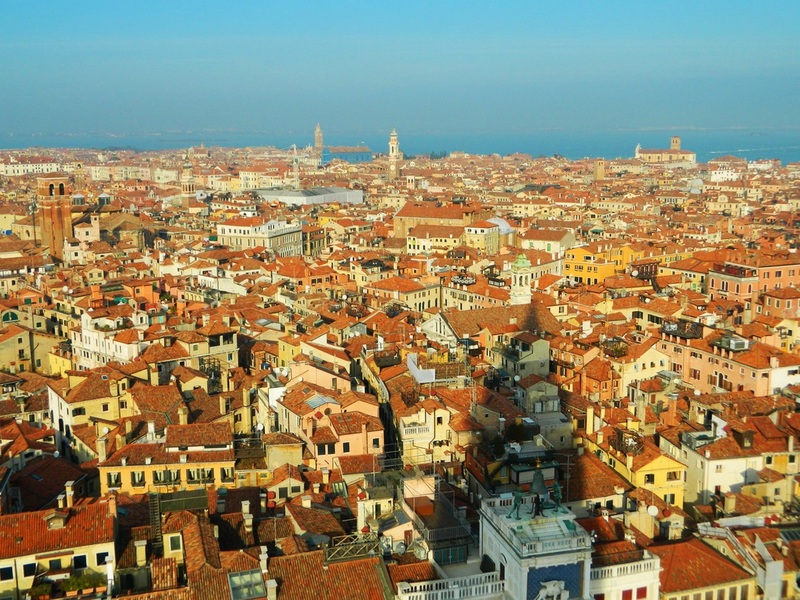 Venice lies on the major A4 autostrada that runs east-west across northern Italy. To get to Venice by car, you cross over a causeway which connects to an industrial suburb of Venice, then you can park in one of three parking structures--the public garage at Piazzale Roma (25-29 euro per day), the private garage on Tronchetto (21 euro per day), or the public lot at S. Guiliano (5 euro per day). 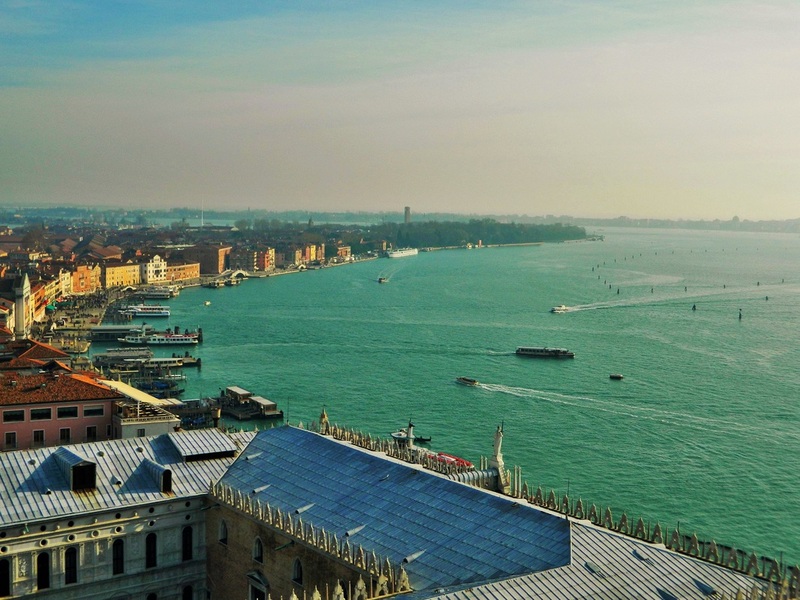 If you choose the latter, you will have to take a bus to connect to the vaporetto (water bus), whereas with the other two, you can connect directly with the vaporetto and get anywhere from there. Causeway connecting Venice with the mainland--open to cars AND trains. If you don't mind a good walk, you can get to the city center from either of the first two garages on foot and avoid the additional cost of the water bus altogether. We're always traveling on a budget (and to be honest, need the exercise! 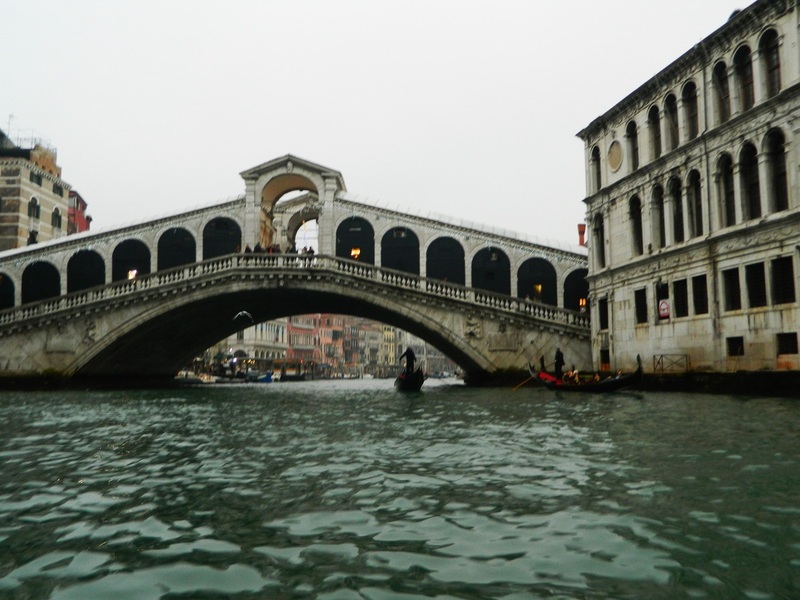 ), so we let our feet do the walking to our hotel, located between the Rialto bridge and St. Mark's square, since it was only a couple of miles away. If you are walking, pack light because you will be dragging your luggage along with you, up and over many bridges, stairways, and through narrow alleyways. For people with really young kids considering a trip to Venice, be prepared that it is NOT stroller friendly--if you can still fit your kiddos in a pack and wear them (unless they can actually hoof it on their own), that's the only way to go in this city. My kids schlepping their luggage through the city. 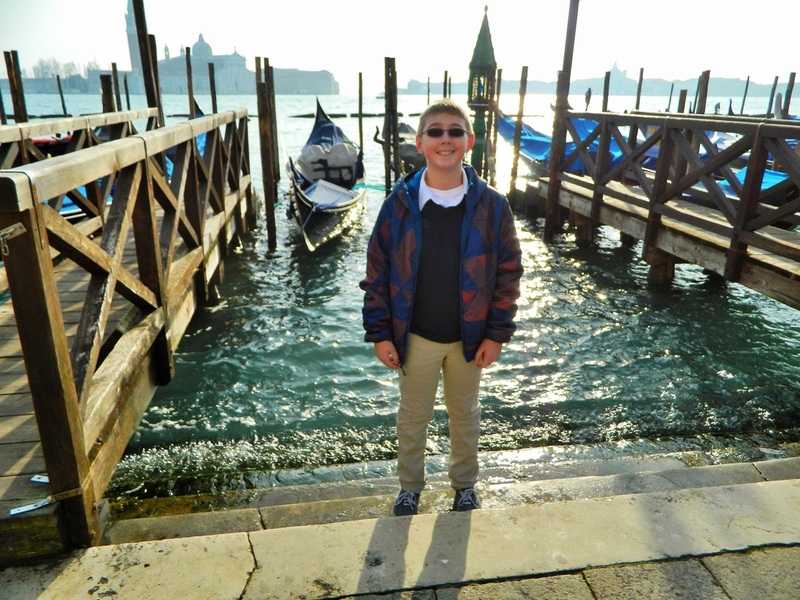 How long you have to spend in Venice will obviously dictate how much you can see. 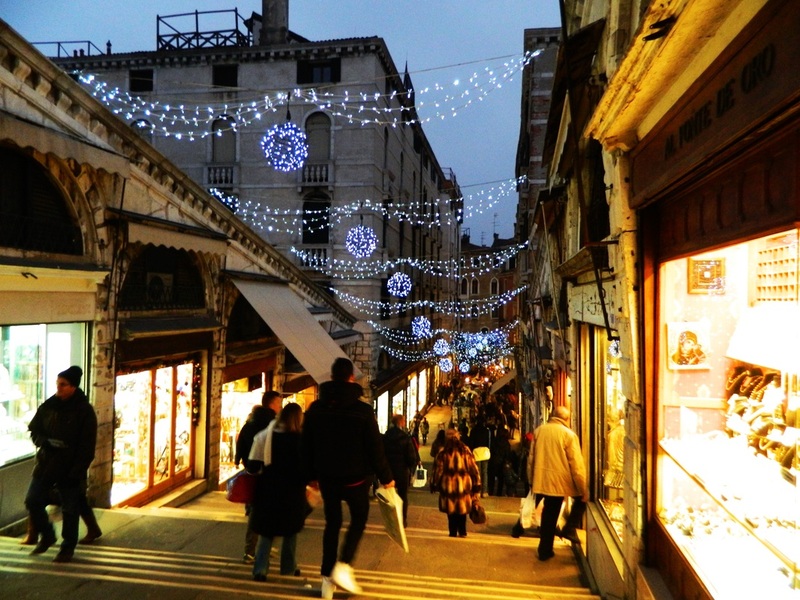 We basically only had two days (Christmas Eve and Christmas) so we limited our sightseeing to the area between the Rialto Bridge and St. Mark's Square. Because it was Christmas, we enjoyed on a couple of leisurely holiday meals where we lingered longer than we normally would, so the time went quickly! You might find yourself wondering whether you should splurge on a gondola ride or not...it's the quintessential "thing to do" in Venice, but it comes at a steep price. During Winter, A 30-40 minute ride will set you back 80 euro. In summer, it can be quite a bit higher because of higher demand. 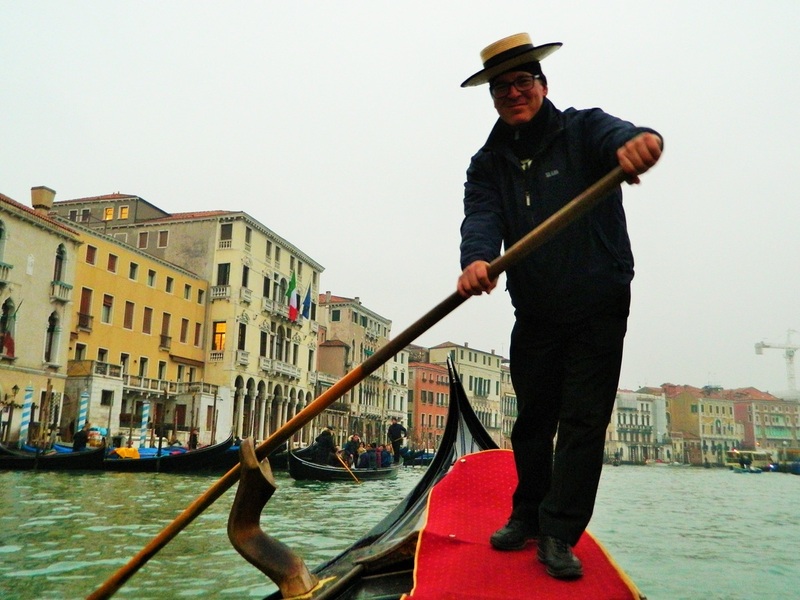 But, there's something pretty special about gliding through the maze of canals with an experienced gondolier--ours acted as a great tour guide, pointing out significant sights along the way. Some gondoliers will also sing if you ask...if you want a singing gondolier, make sure you ask if your gondolier has the pipes for it before you get settled into the boat. 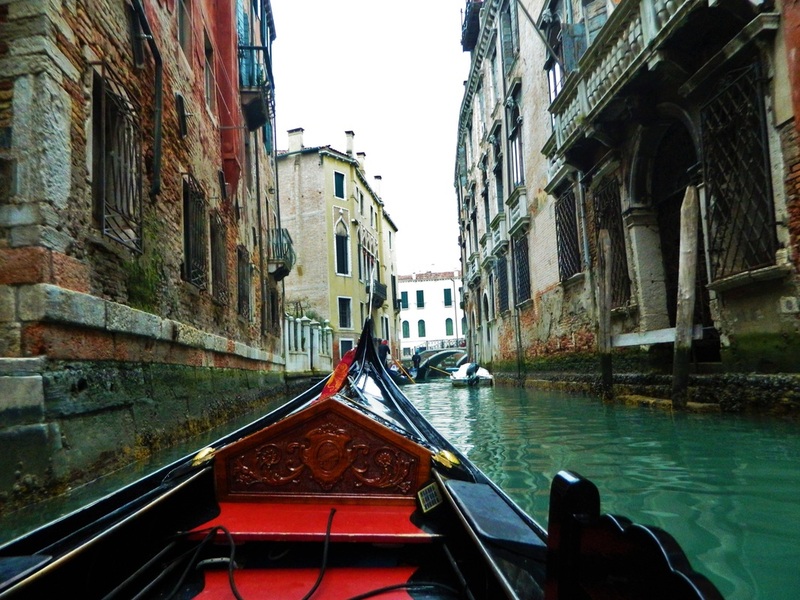 Gondolas are handmade from eight different types of wood, and have almost 300 different parts. Our gondolier said his boat cost about 30,000 euro. They are beautiful vessels and rowing them certainly takes skill! 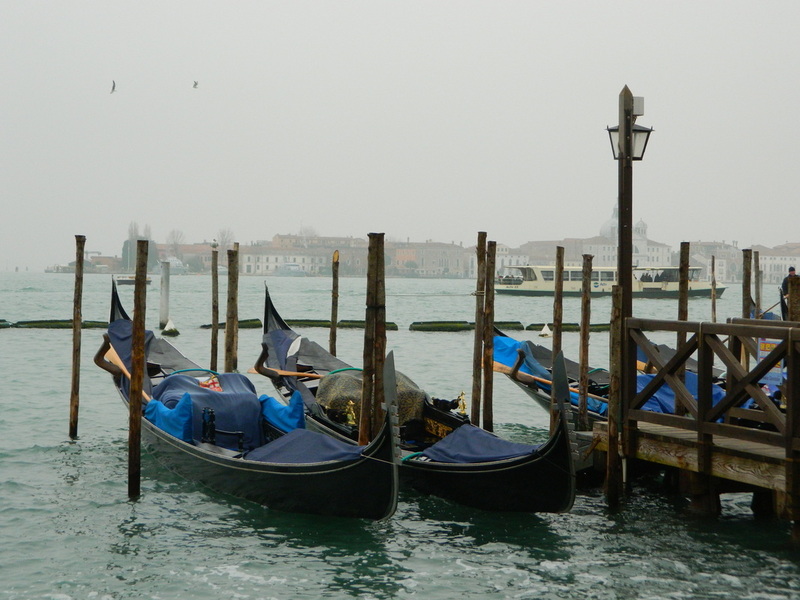 One of the beautiful gondolas. 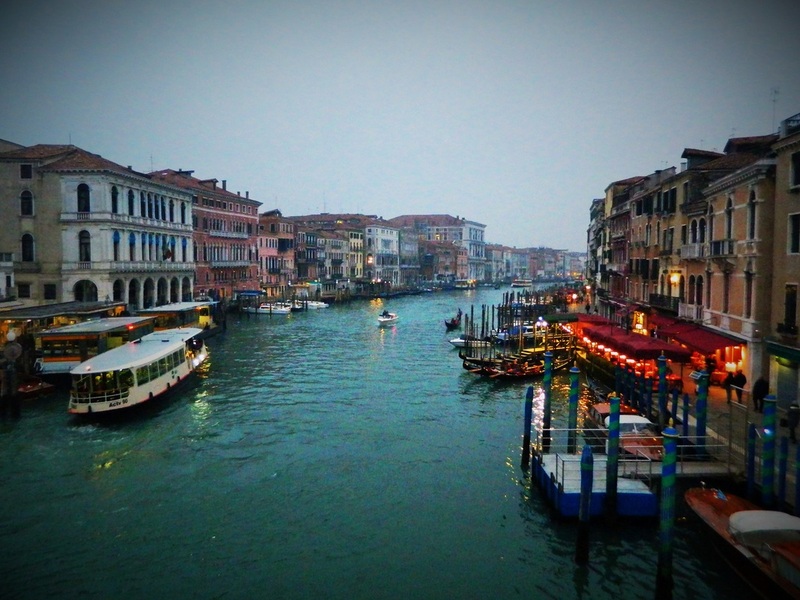 The Grand Canal at dusk. Gondolas put away for the night. 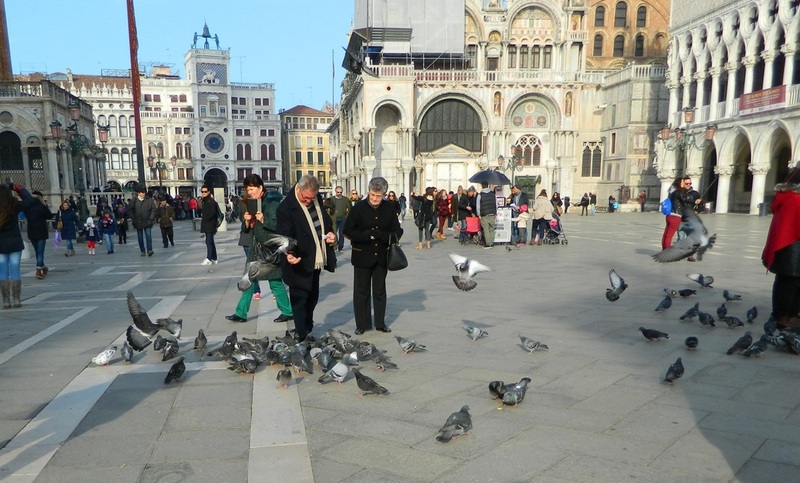 St. Mark's Square is a popular tourist destination in Venice. 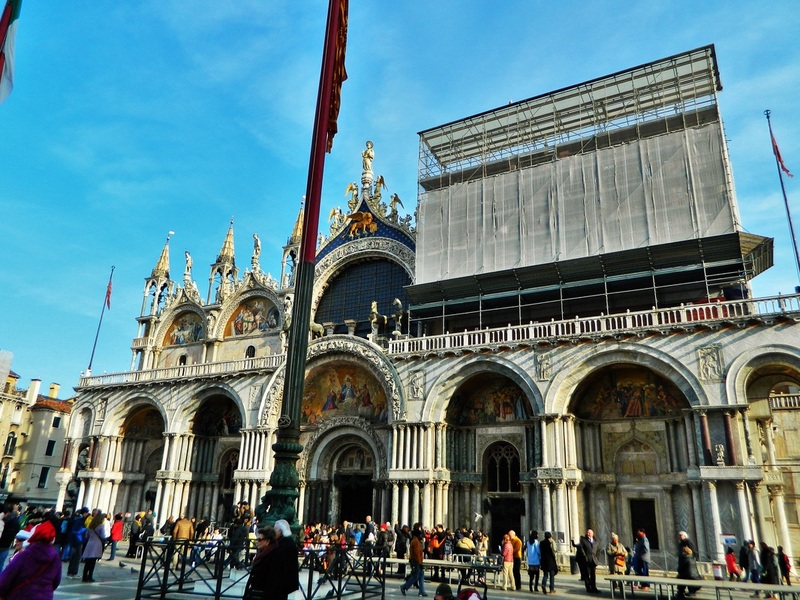 From beautiful St. Mark's Basilica (currently undergoing exterior renovation), to the Doge's Palace, to the bell tower with sweeping views of the Grand Canal, there is much to see and do in this area. 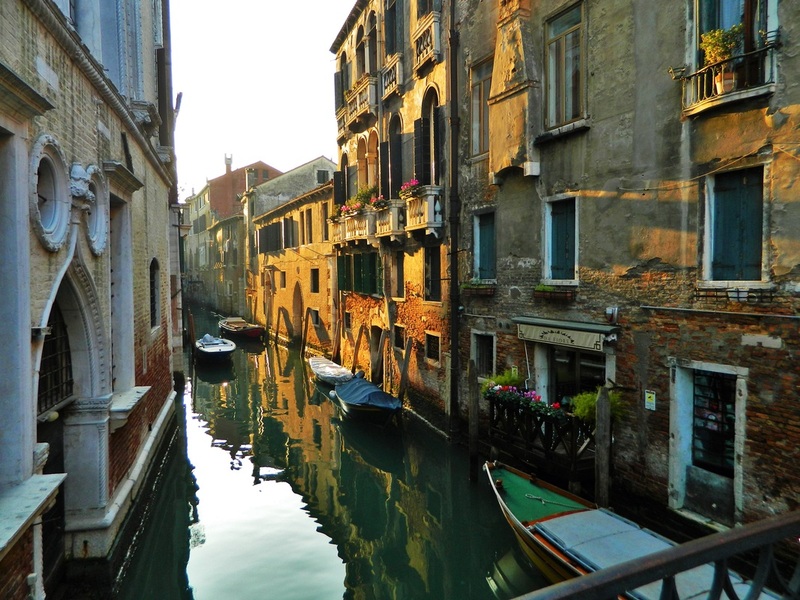 History buffs will enjoy learning about the Republic of Venice which originated in the 7th century and remained until 1797. The Doge was the supreme authority figure of the Republic of Venice, and the palace at St. Mark's Square was the residence of the Doge. Doges of Venice were elected for life, and despite their immense power, were restricted by law to spend the rest of their lives inside the Doge's Palace complex and St. Mark's Basilica, only rarely leaving, usually for diplomatic purposes. 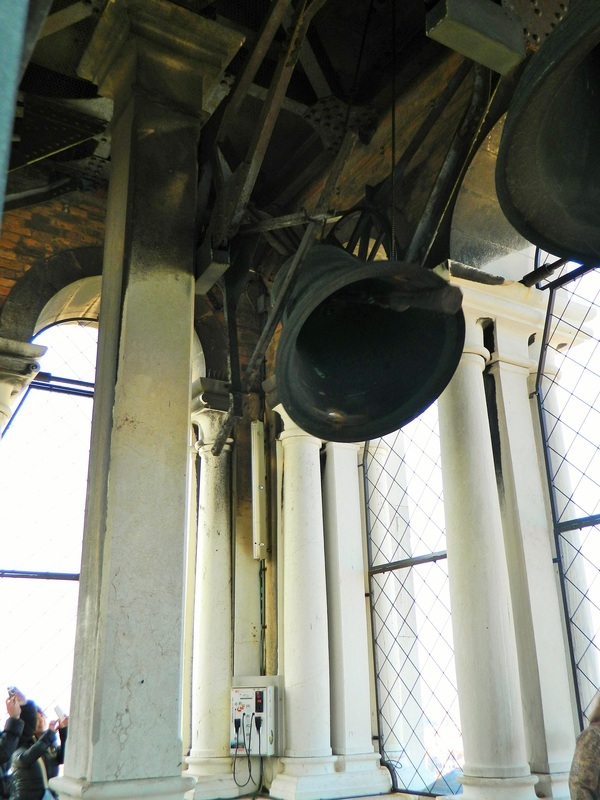 The bells in the tower, ringing. They are LOUD when you are standing right underneath them! View from the bell tower at St. Mark's. View of the city from the bell tower at St. Mark's. 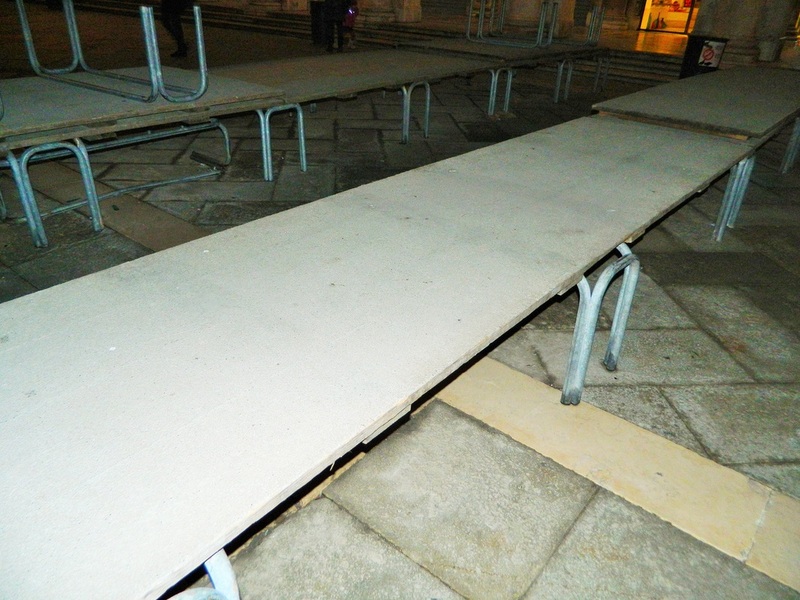 Risers used as walkways when Venice floods! Showing the water level of Venice at non-flood stage...you can see it wouldn't take much of a high tide to flood the city! 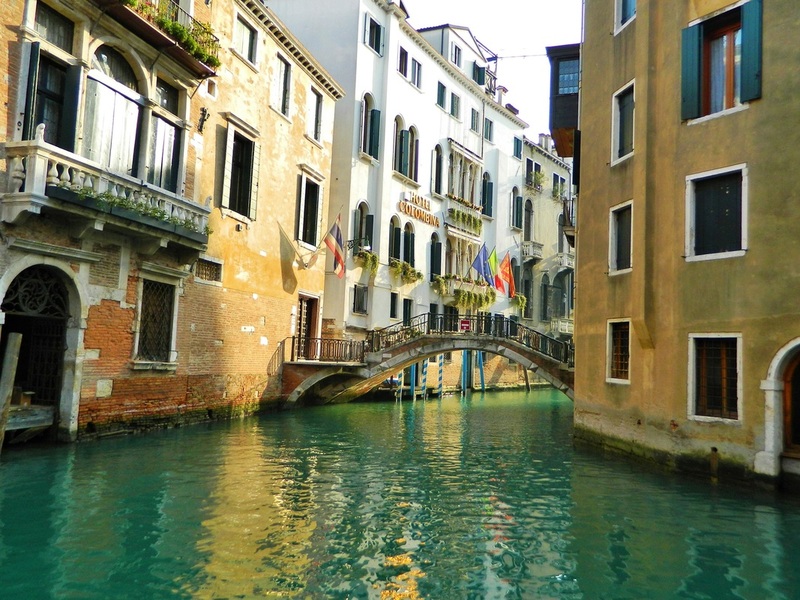 Check out this link to an article in The Atlantic from November 2012...amazing photos of Venice under water. Having had the opportunity to visit so many beautiful places, it's nearly impossible to pick a favorite...but Venice is a place I know I have to return to again some day. If you get the chance to go, check out Hotel Da Bruno on tripadvisor.com...it was a wonderful hotel and really added to the overall great experience we had in this beautiful city.